As an administrator in StaffMap, you can manage floorplan layouts, staff details, staff map, project security, and asset tracking as well as control the look and feel of the project. Admin users can also utilize project reports to leverage data collected about user activity and optimize the project's content. 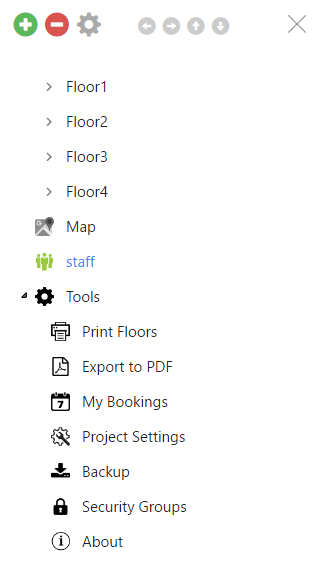 Lastly, administrators in StaffMap can export floorplans to various formats. Most Admin tools in StaffMap can be found in the sidebar menu. Administrators can access this by clicking the menu icon in the top toolbar.